Valentino rockstud shoes with these dupes from ASOS. However you decide to rock it, spice up your life with a pop of yellow! but they are super cute! Or rock these show stopping ASOS Penalty pointed high heels that will have your feet catching everyones’ eye. Nasty Gal Fit to Kill Strappy Heels will get your approval? 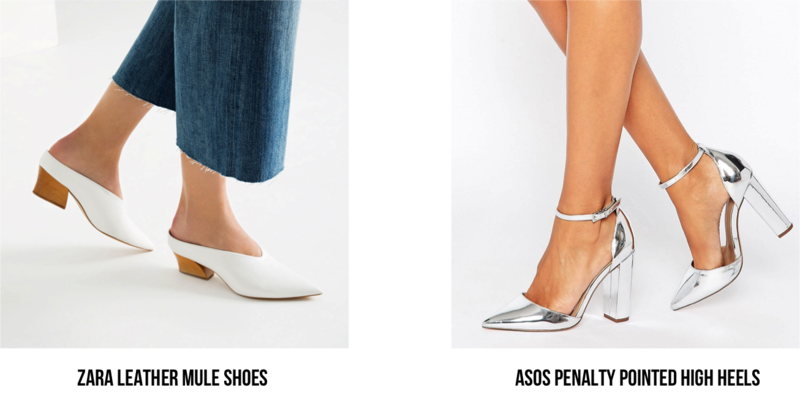 style, check out these ASOS lace up mules, which are currently on sale – so hurry there’s only a limited supply available! season, walk with complete sass and confidence. heels in their hands. That’s an absolute no-no ladies!